Battle your way through hordes of zombies in progressively harder waves and earn gold which can be spent on items. TBS is a Player vs. Entity game - you are placed in a "stadium" where mobs spawn for each round and get progressively harder as you make your way through the levels. 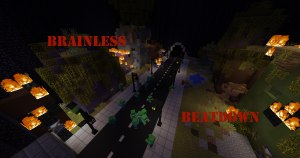 In this Minecraft map you have to fight your way across 5 different waves killing mobs in order to move onto the next wave. Each wave gets harder and harder the farther you go. Buy guns, earn XP and destroy all zombies! 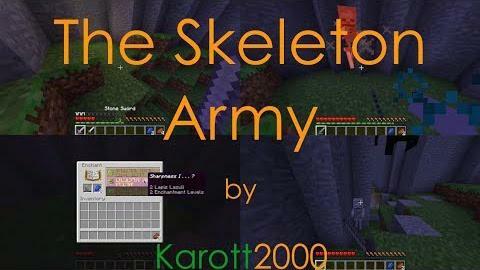 A short and sweet map about defeating an army of skeletons. Creepers are constantly spewing out of a giant creeper head's mouth, and you must survive the onslaught as long as you possibly can! Dungeons of Denalia is a dungeon crawling adventure map where the player assumes the role of an adventurer in a fantasy medieval world. We've collaborated with Twitch to promote MTV's new series, "The Shannara Chronicles" by recreating in detail the world in which it is set. 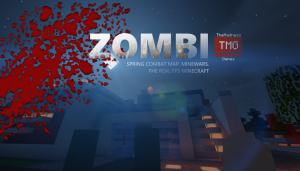 Can you defend yourself against 26 waves of zombies? Hopefully you can, in this tower-defense styled map! Progress through a 20 room randomized dungeon, fighting custom monsters and collecting loot to make it to the end without dying.